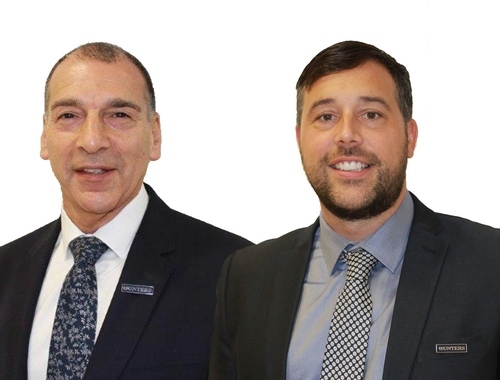 Book a free, no obligation valuation with our local experts. Get a free valuation estimate and full property report to your Inbox. Rohan and the team at Hunters Leeds showed a very good knowledge of the local market, and were helpful and responsive throughout the letting of my property. I wouldn’t hesitate to use them again. Click to view preferred suppliers for Hunters Leeds Lettings. VAT Reg No: 852 4529 19 | Registered No: 05200392 | Registered Office: 15 Park Place, Leeds, LS1 2SJ. 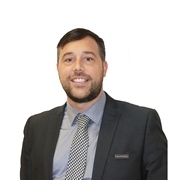 Tony has over 8 years experience in the UK property leasing market and 3 years International experience in Dubai. 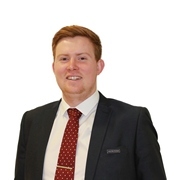 He has previously worked for the National PLC property company in Leeds and prior to that he worked for 6 years at an independent real estate brokerage. 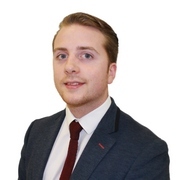 Working for an independent gave Tony a real insight in to the various developments, specifications and area’s which gave him a better understanding of how the property markets and gave valuable in-depth experience of how a real estate office works. As a City Centre leasing specialist in the UK and in Dubai, Tony is hoping to transfer his skills and hone them to a fast paced city center market in Leeds. In his spare time Tony loves Rugby League, traveling and eating out. Tony prides himself on being a team player and by “going the extra mile” for tenants and landlords alike. Rohan is originally from Manchester but has lived in Leeds for 6 years and has gained great knowledge of Leeds City Centre and everything it has to offer! 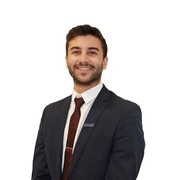 Rohan has had previous experience in Maintenance and Sales and is excited to continue his property focused career in the busy lettings sector. Most people don’t know but Rohan almost made it into the Manchester United football team but got released as a teenager for being too small! After living in Leeds his entire life, Andrew studied Chemical Engineering at Newcastle University for 4 years. During each of the summer breaks from university, Andrew gained valuable experience in property inspections and maintenance and has now joined Hunters as a full time Property Manager. In his spare time Andrew enjoys a variety of sports including tennis and football, and has played the guitar for the last 6 years. Born and raised in Leeds, Stuart went on to study History and Politics at Northumbria University in Newcastle. After Graduating however he realised that the political/historical route was not for him and decided to come back to his hometown and pursue a career in Property, eventually accepting the job of lettings negotiator at the Hunters Leeds Branch. Out of work Stuart enjoys a lot of sports and plays football a couple times a week as well as being a member of Headingly Golf Club in Adel. Kate came to Leeds from Poland 12 years ago. 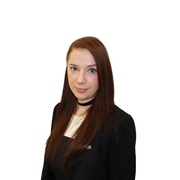 She has worked in many different industries but has always had an interest in the property market. She is passionate about Japan and recently she went there for the second time. She loves going to rock concerts and is a big fan of sports. Her hobbies are film, photography and cooking (especially Japanese food). The third largest city in England, Leeds has seen a considerable amount of rejuvenation over the last few years and as such, is increasingly becoming a location where home owners are opting to lay down their roots. One of the reasons for this is that Leeds has everything you would expect from a vibrant cosmopolitan city, such as London, whilst offering competitive prices in both the buying and rental sector. Leeds University is one of the finest in the UK and as such, is proving to be very popular with students both nationally and internationally, thus making for a very inviting prospect for those looking for Leeds property for rent and a profitable buy-to-let opportunity. For folks looking for a part exchange home, the New Forest Village is sure to be popular. Offering a wide variety of affordable homes for families and businesses persons alike, this twist on Leeds property for sale is a new addition to the market is already catching the eye of prospective buyers from far and wide. One of Leeds most appealing factors is that there is something to see and do for everyone. There’s the new Leeds arena concert venue, and thanks to the Light Shopping centre, there are enough establishments to satisfy the most ardent shopper. If you’re looking to make a day of it, there are plenty of quality restaurants offering local and international cuisine to suit pretty much all tastes. It’s not all hustle and bustle though, for those who prefer a more relaxed day Roundhay Park has plenty to see and do. Simply sit on one of the beautiful greens enjoying a picnic, or wander by the lakes admiring the swans. If you’re the type who likes more energetic days out, the park can accommodate you as well. There are regular events going on at the park, which include kayaking and cycling, and there is no better place to enjoy a jog in the moonlight. If you’re a rugby fan, why not treat yourself to a day out at Leeds Rhinos and look out for Hunters Leeds signage on the boards. We are official and very proud sponsors to the team and are very pleased to be supporting a sport and its players local to the Leeds area. There is Leeds property for sale & rent to suit everyone, whatever your needs. Why not search for a property using the search bar at the top of this page, or visit the Leeds estate agents and letting agents office page.